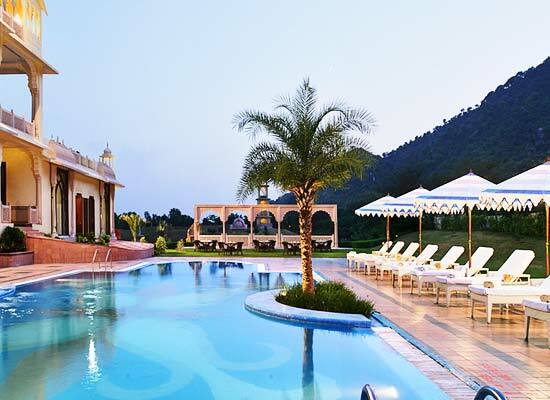 "For spending a luxury and delightful holidays in the city of Jaipur, Rajasthali Resort and Spa is truly a special heritage style hotel of India. The total area of the hotel is more than 25 acres. Magnificent Aravali Hills in the background set the mood for a memorable stay in here. The hotel staff ensures that anyone who decides to stay in here truly makes the best of international level of services provided here. For corporate travelers and leisure tourists, this hotel has become a favorite hotel over the years. 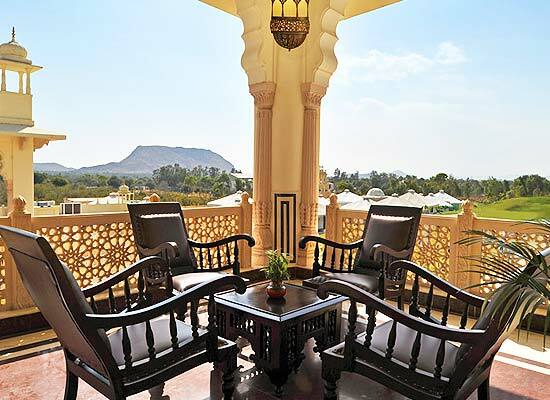 When Rajasthani Resort and Spa was being designed, the idea in mind was to develop a glorious structure that had the history-clad Aravalli hills outside and offers the similar traditional Rajasthan feel inside to each of the guests. With surprise contemporary services and amenities, and traditional Rajasthani look of the hotel, the authentic environment of erstwhile royalty is recreated for one and all in here. 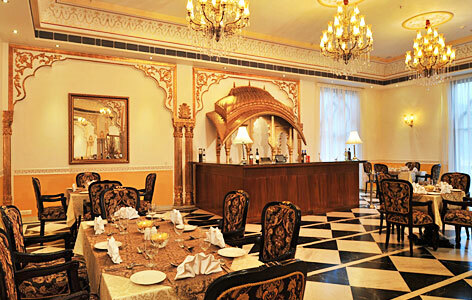 Premier Palace Rooms: The rooms decorated in princely state are luxurious and comfy. 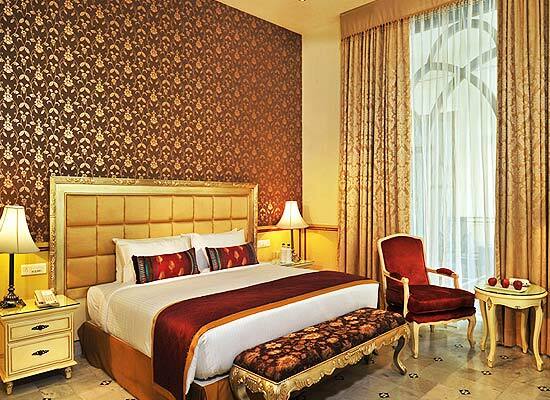 Deluxe Palace Rooms: These rooms are more spacious and signify the true essence of royal decorations. Royal Tent: These royal tent rooms offer a totally other-worldly experience to one and all. Grand Tent: For pure royal treatment and add never-seen-before colors to your stay in Rajasthali Hotel and Spa, these are ideal rooms. Aravali Suite: The large and luxurious suites are the best rooms of the hotel, delighting one and all with luxurious designs and amenities. 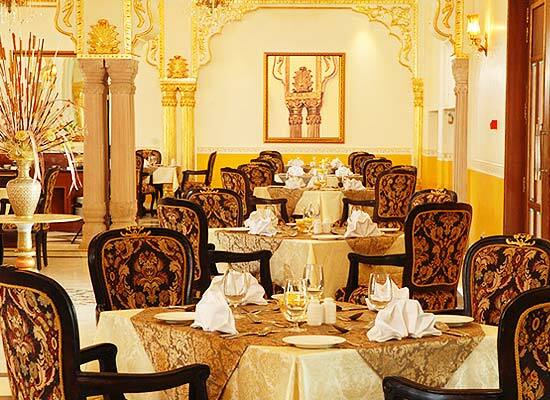 Jharokha Café and Lounge: Multi-cuisine restaurants delighting one and all with delicious Indian and international cuisines along with some of the best wines. Sunset Grill: For enjoying grilled non vegetarian food, comprising of Tandoori Chicken, fish and vegetables, this is the best restaurant. The award winning restaurant also offers liquors to go along with food. There is no doubt in one’s mind why Rajasthan happens to be a favorite tourist destination in India. The city is always flourished with tourists day-in and day-out. The vibrant, colorful culture, shopping markets, the swaying saris and the regional delicacies are some of the most attracting features of the city. Major tourist attractions in Jaipur include Jal Mahal, City Palace, Jantar Mantar and the magnificent Amber Fort.